A very refreshing and enjoyable movie from Jeff Nichols. Mud makes you think, not to figure out any complicated puzzles, but it does have a bit more to say then Fast & Furious 6 for sure. Matthew McConaughey or Reese Witherspoon are not really the main characters, even if they are the big names attached to the film. 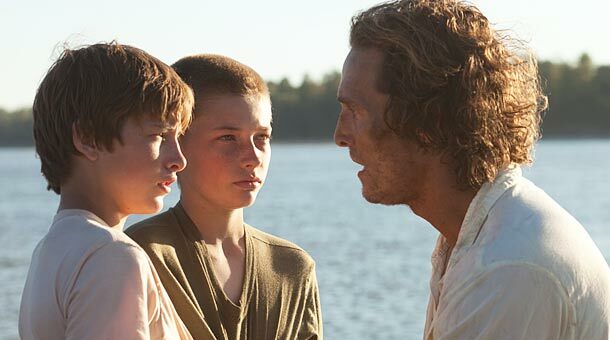 Instead Jeff Nichols, who’s not done that much before, has a couple of brilliant child/teenage boys, especially Tye Sheridan, in the main roles and they do great throughout. The story is great, pace a bit slow at times, scenery and settings are good, and there’s a lot of Tom Sawyer in here… Great start for the summer really.